Music plays a vital role in worship at the Church of the Transfiguration. From our guest instrumentalists preparing us for worship before the service, to our talented singers leading us through hymns and Psalms, along with our music team on Sunday evenings, the music at the Church of the Transfiguration is not likely what you would expect to experience when walking through Anglican doors. We hear over and over again from visitors and parishioners alike how uniquely wonderful the music is at our church. 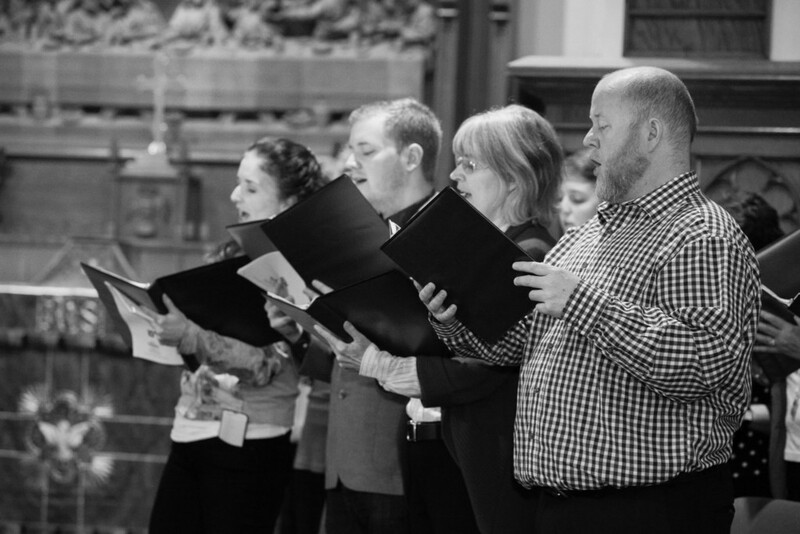 Sunday morning: Our choir is built on the foundation that all are welcome, regardless of previous experience or professional ability. We have some incredible house talent, both in the choir loft as well as in the pews, and everyone is welcome to join the Transfiguration Singers at 9:30am Sunday mornings for a quick rehearsal before the service. The music in the morning is comprised of traditional hymns (mostly from the Book of Common Praise, but a few from Gather Comprehensive), with pieces such as the Gloria, Trisagion, and Kyrie woven throughout depending on the season. Our primary instruments are the piano and cello, but often for high holy days we’ll pull in something special, such as the harp or trumpet. 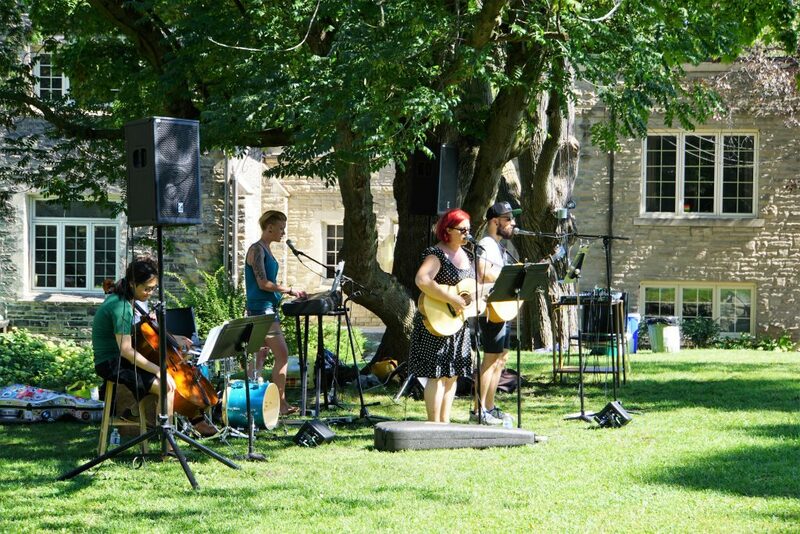 Sunday evening: The Water’s Edge music team is comprised of a small but talented group of musicians. With a more relaxed feel on Sunday evenings, we use a variety of contemporary selections and put a modern spin on our traditional music (case in point: we may be the first to have done a mash up of Beyonce’s “Ave Maria” with Shubert’s). At the moment our primary instruments are piano, guitar, djembe, and steel drum.